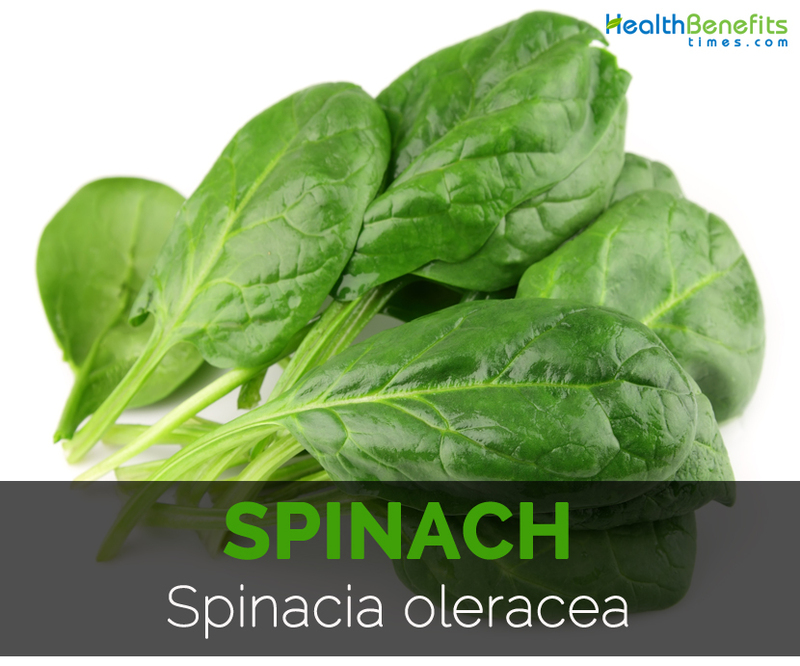 Spinach also called Spinacia oleracea is a leafy green vegetable which is cultivated for its edible leaves and added to various recipes. Spinach is an annual or rarely biennial plant which prefers well-drained soil and grown in cool climates. It has the lifespan of one year. Spinach is native to Southwestern Asia. During the early 7th century AD, it reached China through Nepal. 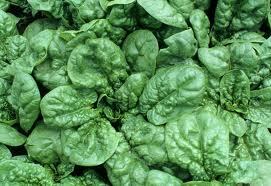 In early 8th century, until spinach was recognized in Spain, it did not reach Europe. 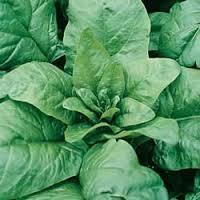 In 1568, Spinach was planted in England. It was introduced by the colonists to Western Hemisphere of three varieties. 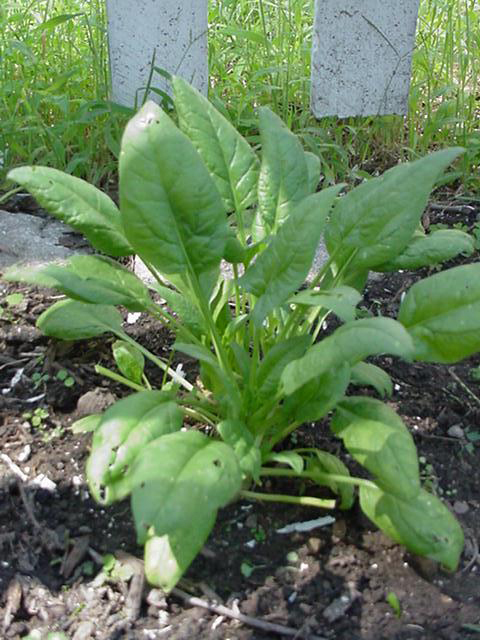 Around 1812, Spinach was new to the American gardens. Spinacia oleracea grows 30 centimeters in height. The leaves are simple, alternate, ovate-triangular in shape and 1-12 inches long which is usually dark green in color. The flowers are yellow-green, inconspicuous and 3–4 mm in diameter. The fruit is a small, hard dry, lumpy which is across 1/4-1/2 inches. 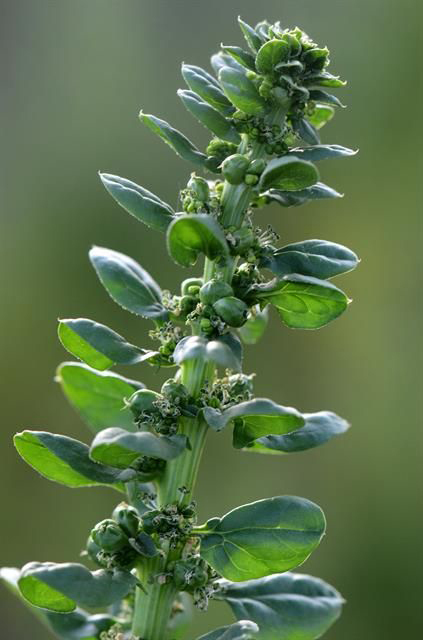 The stems are thin, flexible about 12 inches high. 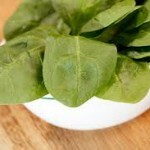 Spinach possess an adequate amount of vitamins and minerals such as calcium, vitamin A, phosphorus, potassium and iron. It also contains protein in high level. About ninety one percent of spinach consists of water. A serving size of 30 grams (1 cup) of Spinach contains 0.86 grams of protein, 0.12 grams of fat and 1.09 grams of carbohydrates . The same amount serves 8.4 mg of Vitamin C, 0.057 mg of Riboflavin, 0.023 mg of Thiamin and 0.217 mg of Niacin. 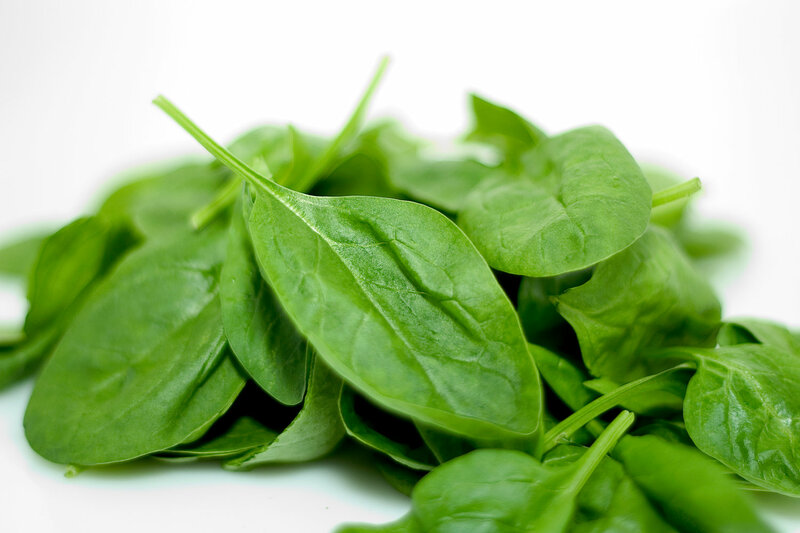 About 30 mg of Calcium, 0.81 mg of Iron, 15 mg of Phosphorus, 167 mg of Potassium and 24 mg of Sodium are offered by Spinach greens. 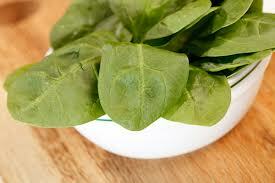 Spinach is loaded with Vitamin C, folic acid, Vitamin K, calcium, fiber, iron and carotenoids. The dietary fiber found in Spinach plays a vital role in treating constipation, good digestion and maintain low levels of blood sugar. Flavonoid helps to slow down the process of cell division in skin cancer and human stomach cells. It is protective against prostate cancer as well. Retinitis pigmentosa or AMD is a kind of blindness which is caused due to the decline of lutein and xanthene that forms a central part of retina. 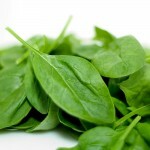 The research has shown that the intake of Spinach helps to regain these two essential pigments and also prevents AMD. Spinach also provides an antioxidants that lowers the effects caused by free radicals that leads to age related conditions such as macular degeneration and glaucoma as well as negative impact on vision. Factor C0-Q10 is an antioxidant which is found in Spinach that helps to strengthen heart muscles that pump the blood continuously to all parts of body. C0-Q10 treats and prevents the cardiovascular diseases such as heart failure, hyperlipidemia, coronary heart disease and hypertension. Spinach possesses an impressive amount of protein which is converted into amino acids by enzymes which is required for humans. The protein helps in the growth and development of muscles, heals wounds and enhances the metabolism of the body that helps to enhance the functions of organs at the maximum. The research shows that thylakoid can curb hunger and cravings that assist in weight loss. 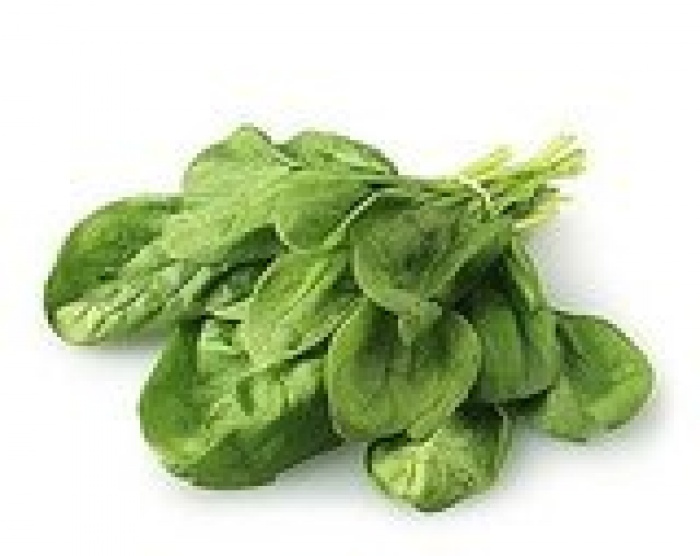 Spinach possesses anti-inflammatory properties that help to reduce inflammation in the body. It helps to prevent the heart inflammation, prevent cancer, reduce pain and inflammation caused from gout and arthritis that affects the health. Spinach helps in the prevention and treatment of various types of cancer such as prostate bladder, lung and liver cancer. 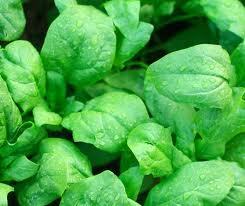 Spinach possesses the constituents such as tocopherol, folate and chlorophyllin which help to treat cancer. The cartoon “Popeye the Sailor Man” improved the children’s intake of spinach. 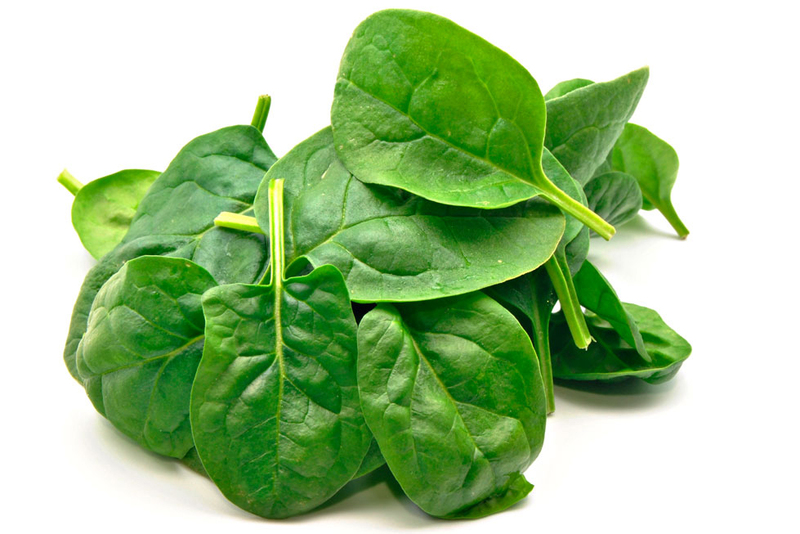 Infants were convinced to eat spinach and be strong as it is rich in vitamins, protein, phytonutrients and minerals. It helps in the development in their growth stages. 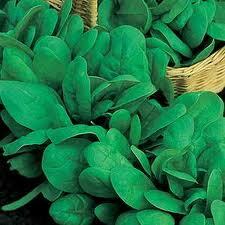 Spinach are classified into three types: Savoy, Flat-leaf and Semi-savoy spinach. The older varieties could be differentiated from newer types through the look and flavor. The older varieties have narrow leaves with a strong and bitter flavor. 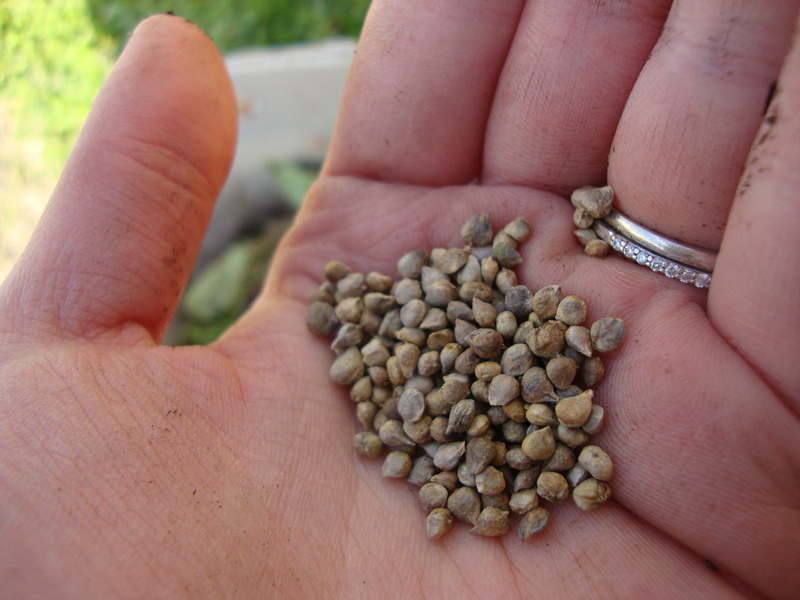 Modern varieties grows faster and have wider leaves and rounder seeds. 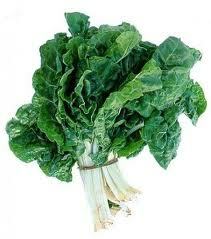 Savoy spinach has curly, crinkly and dark green leaves. It thrives in cold much better than other spinach. The types of savoy spinach are Bloomsdale which is fairly resistant to bolting and has thicker leaves which is consumed raw or added to salads; Viroflay which is a spinach with higher yields;Regiment which has deep green leaves that is soft. a. Regiment possess deep green leaves which is soft even if it is huge. 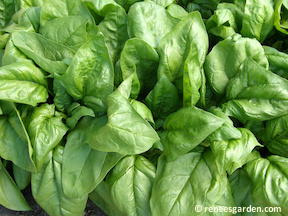 b. Bloomsdale is thick-leafed spinach which thrives in cool much better than other varieties. Huge yields are created at the beginning of summer. It is fairly resistant to bloting. 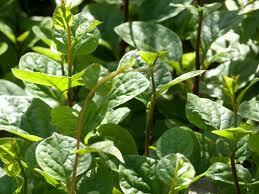 Flat-leaf is also called smooth-leaf spinach which could be recognized by its smooth and wide leaves. It is simple to wash and clean in comparison to varieties of crinkly savoy. It is frozen and canned. The varieties of Flat-leaf are space and red cardinal. 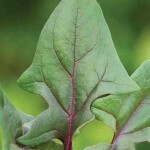 Space is slower to bolt and Red Cardinal has red veins in leaves like beet leaves. 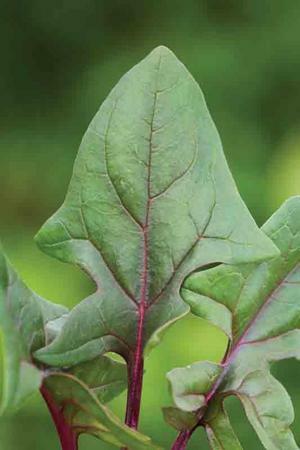 Semi-savoy spinach is a hybrid variety with some crinkled leaves. 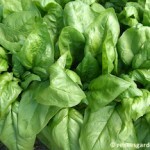 Semi-savoy is the easiest spinach to grow in a garden. Various types of semi-savoy are Tyee which is cultivated all year round in the places with moderate winter and is resistant to Downey Mildew races, bolting which grows vertical intensely along with dark green leaves; Catalina which possess thicker leaves in spear shape having moderate bolt resistance and Teton which possess deep green oval leaves. 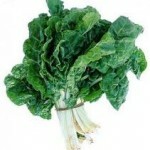 a. Tyee is a variety of semi-savoy with dark green leaves, vertical development having an excellent resistant to bolt. 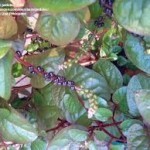 It is cultivated in mild-winter areas all year long. b. Catalina has delicious,thicker and spear shaped leaves which possess a reasonable resistant to bolt. 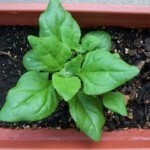 c. Teton is a semi-savoy spinach with oval, deep green leaves on its upright plants. It is very slow to bolt. 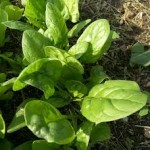 d. Indian Summer is a spinach which is grown for three seasons such as spring, summer and fall. The semi-savoy leaves are flattened and smooth. It is also extremely slow against bolt. 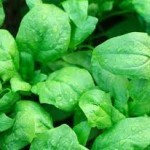 It is a spinach which has smooth and flat leaves that are easier to clean and makes it a main option of refined spinach. a. ‘Space’(F1 Hybrid, 45 days, resistant against races 1-3 of Downey Mildew) is sluggish to bolt compared to most smooth-leafed types. b. Red Cardinal has red veins in the leaves. 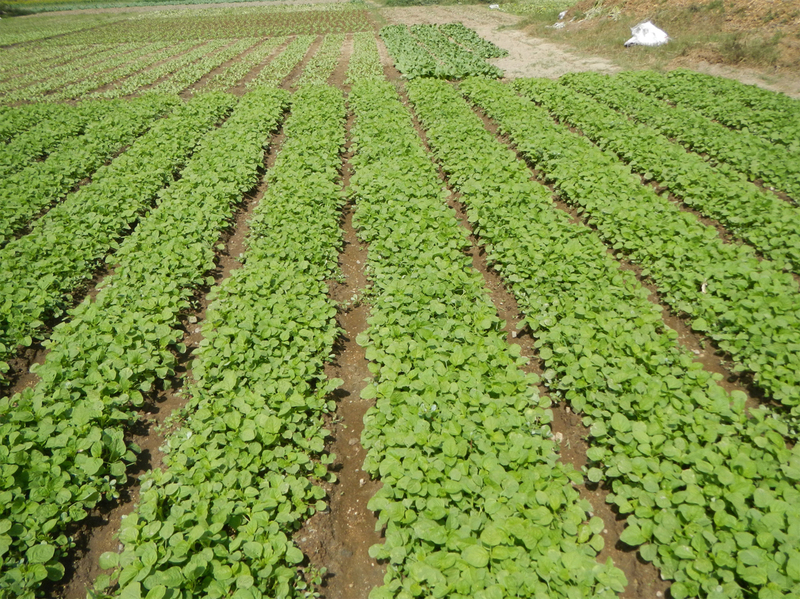 It is harvested during baby greens which is used for salad. They are quicker to bolt in comparison to other green-leafed spinach. 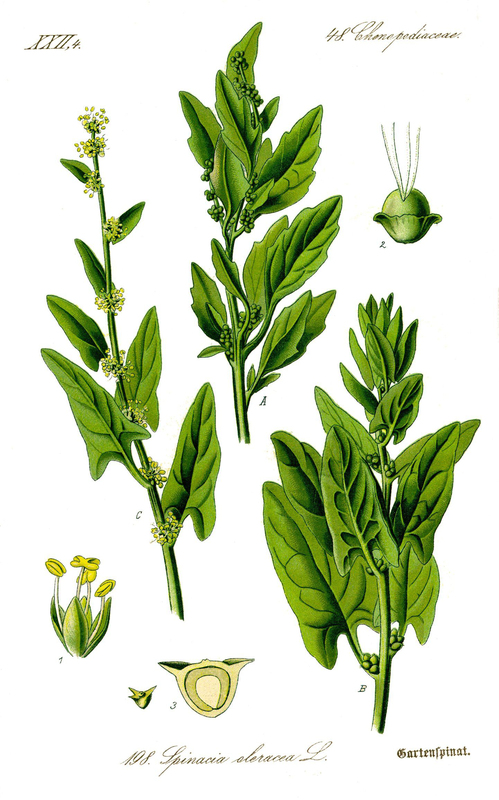 New Zealand Spinach has sharp leaves which are delicious that melts within the mouth when bitened upon them. It is great to use raw as it melts into mush when cooked. 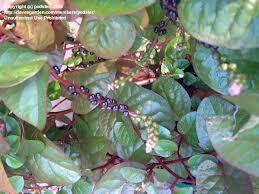 Malabar Spinach needs a lot of summer heat with trellis in order to climb to reach its potential-a 10’ or 3 m vine. 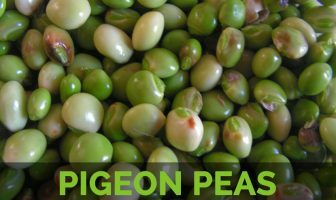 The side-shoots and leaves are harvested and stir-fried for consumption. 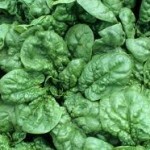 Though Spinach is available in every season, its peak season is March-May and September-October is the finest. It has good taste and is easily available. 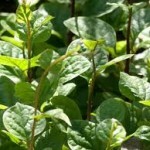 The Spinach with deep green leaves and stems should be selected without any yellow indications. 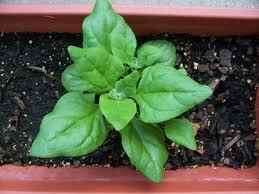 The leaves should be fresh and tender and should avoid wilted and bruised ones. Those have a slimy coating should be prevented which indicates a sign of decay. The fresh spinach should be packed freely in a plastic bag in a refrigerator where it’ll be fresh for about 5 days. It should not be cleaned before storing because the moisture may ruin the spinach. The cooked spinach should not be kept because it won’t be able to keep it perfectly. The chopped, fresh or frozen spinach should be added to lasagna. The chopped or frozen spinach could be added to veggie soup recipes. Spinach could be sautéed with some garlic to make a delicious food mixture. It should be placed on a surface of baked potato. It could be consumed with crunchy other raw vegetables, whole grain breads such as pumpernickel. Fresh spinach could be used in the sandwiches. 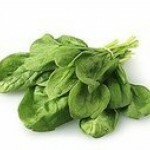 The chopped, fresh or frozen spinach could be added to frittatas and omelets. Eight ounces of skirt steak should be seared in a huge skillet which should be kept in a high temperature. The pan should be allowed to cool a little bit. Add two tablespoons of butter and sliced spinach. Mix and cook it till it is wilt. Add three tablespoons of olive oil, two chopped tomatoes, one tablespoon of balsamic vinegar, 1/2 chopped red onion and let them cook for another minute. Toss with sliced steak, 1/2 cup of crumbled blue cheese which enhances the taste. Make four thick slices of bacon slices within olive oil till almost it is crisp and remove. Toss a Spinach with the tarragon sprig within rendered fat to wilt. Add 1/2 pound of chopped mushrooms and onion. Top with the bacon. Cook chicken breast with olive oil and brown it. Put three tablespoons of butter and then add spinach. Add tomatoes with sliced scallions. Then use the sliced chicken and lemon juice as a toppings. The washed Spinach should be covered in the pot on a medium to high heat. Put 2-4 tablespoons of butter in a saucepan in above medium heat. It should be stir from time to time till foam is reduced and butter to turn into a nut brown. As spinach becomes soft after 3-5 minutes, drizzle with the use of butter and half cup should be added to every shaved Parmesan and toasted bread crumbs. Then toss to mix. Within the butter, make 2 cloves garlic then half cup raisins should be added with 2 tablespoons of pine nuts. Then the spinach should be tossed with this combination rather than cheese or bread crumbs. Use 2 tablespoons of sesame oil than butter. Then mix one chopped green chili. Add 3/4 cup of cashews and then cook them till it is gently brown. Spinach should be tossed with it by adding 2 tablespoons lime juice and ¼ cup of sliced scallions. The big saucepan should be place 4 tablespoons of butter above the medium heat. After it gets hot, one handful of spinach should be placed at a time. Mix it and sauté for about five minutes till it wilted. 4 nests should be formed within spinach and then crack an egg in each nest made. It should be cooked until the egg whites are not set which is about 4 minutes. Sauté one sliced white onion in a butter. Then add 3 tablespoons of white wine. Spinach should be cooked within this as above and 1 pound mussels for eggs should be replaced. It should be cooked till they are open. In the huge saucepan, put two tablespoons of sesame oil with 2 cloves of minced garlic, 1 tablespoon of grated ginger and 1 tablespoon of soy sauce. Spinach should be included and braise for about ten minutes until it is soft and wilted. Put a deep skillet over a medium to low heat and place 2 tablespoons of butter. Put a quarter of spinach and cook till the butter is soaked by spinach. Add another tablespoon of butter and spinach and mix it. It should be repeated till all the spinach is utilized. Place 1 cup of cream and cook it for about fifteen minutes until the cream is thicker. Two onions and one clove of minced garlic should be sauteed in a neural oil with 1 teaspoon of cumin, cardamom and coriander each. Add 1 cup of coconut milk with a handful of tablespoons every time while changing the handful of spinach. Cook and mix it from time to time until the coconut milk becomes thick for about 1 hour. Then add 1/2 cup of chickpeas and heat it. Place 1/2 pound carrots and 6 cups of water in a pan above high temperature. Boil it and then add rice about 1/2 cup. When it is heated and boiled then add simmer and spinach. It should be mixed and cooked until the carrots are soft for about 1/2 hour. After that add 3 cloves of minced garlic with 2 tablespoons of butter. Spinacia oleracea var. inermis (Moench) Peterm. Calories 41 Kcal. Calories from Fat 4.23 Kcal.